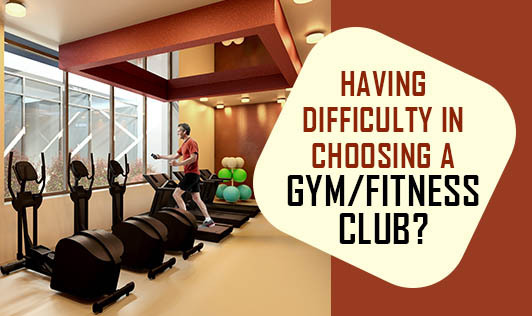 Having difficulty in choosing a gym/ fitness club? Before you choose a fitness club/ gym, you should have some idea of what is attracting you to it in the first place. Such a wide variety of fitness facilities exist today that a comparison, usually in the end, comes down to what appeals to you personally or to your purse! Step 1: Select a fitness club that's conveniently located. Even if you have to pay extra for a club that's closer to your home or located on the way to and from work, the investment will probably pay off in the end as you'll be much more likely to use the facilities. Step 2: Visit the club at about the same time of day you intend to work out and ask for a tour. Don't let yourself be rushed; take your time to get a feel for the ambience of the gym. Step 3: Look for signage indicating what hours the club/ gym is open. Step 4: Inspect the locker rooms and gym floor for cleanliness. Look in the showers and check the area around the toilets for signs of soil. Inspect the weight equipment. Hard-working gym equipment may not be pristine, but it should never be excessively dirty, rusted or appear flimsy. While you're at it, check to see whether there's enough equipment available for all gym members to use or whether people are queuing up to use certain machines. Step 5: Inquire about different membership plans so that you can compare costs. Depending on your needs, you might be able to get a better monthly rate or other discounts by signing up for an extended-period contract. Step 6: Ask for a list of group fitness classes and other special programs that may be offered at the gym. So, next time you select a gym make sure it is the right one for you!